The top spot in the U.S News’ “Best Place to Live” belongs to Denver, Colorado. In the words of Hannah Montana, “You get the best of both worlds” when you’re in Colorado. From downtown Denver to the most rural places in the state, there is something for everyone. Freshman Alice Larm shared, “Denver provides a fun city life with the jaw-dropping mountains not too far from home.” The Rocky Mountains boast a variety of views and activities, including skiing, one of the most popular activities Colorado has to offer. Additionally, hiking trails are scattered among national parks containing unbelievable scenery and wildlife. “Colorado’s variety of outdoor activities are hard to beat,” added junior Joe McComb. However, Colorado has more to offer than outdoor beauty and activities. Attractions within the city of Denver such as the Museum of Nature and Science, the Museum of Contemporary Art, and the Art Museum are sure to feed curiosity. “Some of my favorite childhood memories are from the Children’s Museum, learning about the science behind bubbles and creating artwork out of recycled material,” commented sophomore Pana Reiva. As the seasons change, so do people’s habits and outfits. “One of the things I love about Colorado is how unpredictable the weather is,” shared senior Zoya Robbins. Residents get to show off a wide range of clothing from shorts and tank tops to leggings and sweaters. Sophomore Ella Stephens pointed out, “The weather is unique. You can experience 100 degree temperatures one day and then have a snowstorm come in within the following week.” To look on the bright side, people can put their entire wardrobe to good use. The top spot in the U.S News “Best Place to Live” should belong to Denver, Colorado: home of anything and everything anyone could ask for in a place to call home. With the alluring Rocky Mountains right in our backyard, a life in the Mile High City is a life worth living. Take that, Texas. 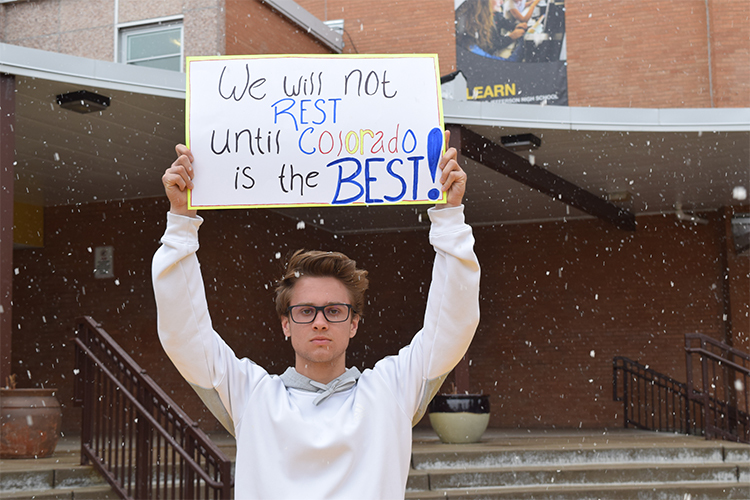 We will not rest until Colorado is the best!